Doug Carlisle specializes in assisting clients to the finish line as a Transaction Coordinator. With seven years of experience in the mortgage industry, he uses his expertise to keep the file moving forward.? 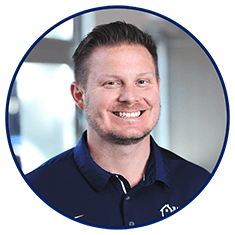 A Jacksonville native, Doug enjoys staying active playing both softball and flag football, attending Jacksonville Jaguars games, spending time with his family and pug, Rocky.